Rory McIlroy drops his club in disgust after hooking into the water at the 18th at TPC Southwind.Rory McIlroy insisted on drawing positives from his unscheduled stop-off in Memphis for the FedEx St Jude Classic. He claimed he will head to the US Open with high hopes but it’s more likely that contending and “failing” at TPC Southwind will stand to him, not at The Olympic Club this week, but on another pressure laden afternoon in the near future. McIlroy hooked his three-wood tee shot into the water at the 18th when tied for the lead and three putted for his first double bogey of the week to shoot 69 finish seventh behind Dustin Johnson. He didn’t capture his fourth PGA Tour win or head to San Francisco for his US Open defence with another piece of silverware on the mantelpiece. In fact, while no-one made more birdies at the world No 1 at TPC Southwind, McIlroy also had 14 bogeys and a double in four rounds. That’s hardly the kind of play that will strike fear into the hearts of the USGA, who appear determined to make sure there will be no repeat McIlroy’s record-setting 16 under par winning score at Congressional last year when the elite tees it up at The Olympic Club on Thursday. 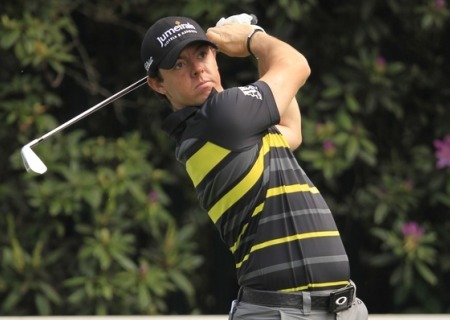 McIlroy argued that he accomplished his mission in Tennessee by bouncing back from three successive missed cuts and getting into mix. The truth is that must now play his fifth event in the space of six weeks with a game that is high on spectacle and low on the grinding consistency necessary to win a US Open on a punishing course where the smallest mistakes will be magnified. He refused to accept that he needed to win to justify his decision to add Memphis to his schedule. And he’s right. Barring a case of fatigue or dehydration, McIlroy’s performance in Memphis will have little bearing on his US Open week. If he believes he has sorted out the technical issues that bugged him at Sawgrass, Wentworth and Muirfield Village, we must take him at his word. Time will tell if he has the confidence or the energy to contend. What was truly impressive about his week in Memphis was the way he battled his way into a share of the lead with a clutch 20-foot birdie putt at the 17th and then tried to play the “right” shot at the last. 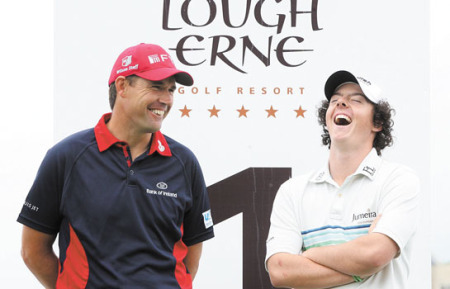 It didn’t come off but while his hopes sank in a watery grave, McIlroy can take pride from the fact that he put his neck on the line, as Padraig Harrington (13th in Memphis after a 69) likes to say. It would have been easy to poke something down the right side and perhaps finish in the rough but McIlroy took on the shot regardless of the pressure. When he looks back at his 12 months as US Open champion, he will realise how much he has learnt. Memphis was just another small lesson in what will be a long career of learning. The US Open may pose deeper questions. “The knee is not great Rory”Padraig Harrington opted to take it easy ahead of next week’s US Open by pulling out of the pro-am at the St Jude Classic in sweltering Memphis. The Dubliner, 38, had keyhole surgery on his right knee just over two weeks ago and he faces a major test of his fitness over the next four days at TPC Southwind. Rory McIlroy has added the FedEx St Jude Classic to his schedule. Picture Fran Caffrey/www.golffile.ieRory McIlroy is furious with himself for not being better prepared for the BMW PGA at Wentworth. But he’s determined not to make the same mistake again and will now play, not one, but two warm up events before his US Open defence at the Olympic Club. Following The Memorial at Muirfield Village this week, the Ulsterman has decided to forego a planned trip to the Titleist Performance Insititute in California with his coach and trainer and take them instead to Memphis for the FedEx St Jude Classic. Rory McIlroy will have Graeme McDowell and Padraig Harrington for company in the first two rounds of the FedEx St Jude Classic in MemphisRory McIlroy, Padraig Harrington and Graeme McDowell have been grouped together for the first two rounds of the FedEx St Jude Classic in Memphis this week. But despite the somewhat unpredictable form of the three Irish major winners this season, I doubt they will be making any special petitions to St Jude himself, the patron saint of of desperate cases and lost causes. And why should they. Rory McIlroy is hoping to regain some lost momentum in Memphis as he builds up to his US Open defence in San Francisco next week. Rory McIlroy believes he’s made progress in his search for his game after a three-day reconnaissance trip to San Francisco to see next week’s US Open venue. The world No 2 tees it up with Padraig Harrington and Graeme McDowell at the FedEx St Jude Classic in Memphis with his sights set on a confidence boosting performance ahead of his title defence at the feared Olympic Club.